Henry Hunt, the son of Thomas Hunt, a gentleman farmer, was born in Upavon, on 6th November 1773. After ten years education at the local grammar school, Henry joined his father in looking after the family estates. When Thomas Hunt died in 1797, Henry became the owner of 3,000 acres in Wiltshire as well as a large estate in Somerset. Henry married and during the next few years his wife gave birth to three children. In 1800 Henry Hunt became involved in a dispute with Lord Bruce, a colonel in the Wiltshire Yeomanry over the killing of some pheasants. Lord Bruce took Hunt to court over the matter. Hunt was found guilty and sentenced to six weeks imprisonment. During his court case, Hunt met Henry Clifford, a radical lawyer who was involved in the campaign for adult suffrage. Clifford introduced Hunt to several of his political friends, including Francis Place, Thomas Hardy and Horne Tooke. Hunt now became involved in radical politics. This brought him into conflict with local landowners and in 1810 Hunt moved to a new 20,000 acre estates at Worth, near East Grinstead. While living at Rowfant House, Hunt became more active in politics. Hunt had by now achieved a reputation as a magnificent orator and was constantly being asked to speak at public meetings. In 1816 Henry 'Orator' Hunt spoke at large reform meetings at Birmingham (80,000), Blackburn (40,000), Nottingham (20,000), Stockport (20,000) and Macclesfield (10,000). Samuel Bamford met him at one of these meeetings: "Henry Hunt was a gentlemanly in his manner and attire, six feet and better in height, and extremely well formed. He was dressed in a blue lapelled coat, light waistcoat and kerseys, and topped boots. He wore his own hair; it was in moderate quantity and a little grey. His lips were delicately thin and receding. His eyes were blue or light grey - not very clear nor quick, but rather heavy; except as I afterwards had opportunities for observing, when he was excited in speaking; at which times they seemed to distend and protrude; and if he worked himself furious, as he sometimes would, they became blood-streaked, and almost started from their sockets. His voice was bellowing; his face swollen and flushed; his griped hand beat as if it were to pulverise; and his whole manner gave token of a painful energy." In 1818 Henry Hunt was selected as the radical candidate for the Westminster constituency. In his campaign Hunt advocated annual parliaments, universal suffrage, the secret ballot and the repeal of the Corn Laws. Although popular with the large crowds that attended his meetings, he was deeply disliked by the majority of the electorate and Hunt won only 84 votes. On 16th August 1819, Henry 'Orator' Hunt and Richard Carlile spoke at a meeting of 80,000 people on parliamentary reform at St. Peter's Fields in Manchester. The local magistrates ordered the yeomanry (part-time cavalry) to break up the meeting. Just as Henry Hunt was about to speak, the yeomanry charged the crowd and in the process killed eleven people. 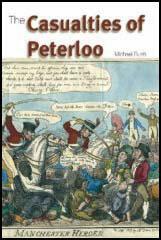 Afterwards, this event became known as the Peterloo Massacre. Henry Hunt, Samuel Bradfordand eight other leaders of the movement were arrested and charged with holding an "unlawful and seditious assembling for the purpose of exciting discontent". Hunt was found guilty and sentenced to two and a half years imprisonment in Ilchester Gaol. While in prison Hunt wrote his Memoirs where he attempted to explain why he had become a radical reformer. After he was released in October 1822, Hunt returned to his campaign for adult suffrage. With the help of his friend, William Cobbett, Henry Hunt formed the Radical Reform Association. In 1826 he unsuccessfully stood for Somerset but it 1830 he was selected as the radical candidate for Preston, one of the few towns in England that had given the vote to all males who paid taxes. As well as campaigning for parliamentary reform, Hunt addressed the other issues that concerned the working class people living in a town which employed over 10,000 people in the textile insustry. This included their desire for a ten hour day and an end to child labour. Henry Hunt complained about the way his campaign was reported in the local newspapers: "I have personally visited the factories, and witnessed the sufferings of the overworked children. but, my friends, you never heard of this. No, no, my speeches on the subject were all suppressed by the press." When the election was held Henry Hunt successfully defeated Edward Stanley, the chief secretary for Ireland in the Whig government by 3,750 votes to 3,392. After his victory, Hunt and an estimated crowd of 16,000 people, marched to Manchester and held a meeting at the site of the Peterloo Massacre. In the House of Commons, Hunt spoke often on the subject of radical reform. However, Hunt was opposed the 1832 Reform Act as it did not grant the vote to working class males. Instead he proposed what he called the Preston-type of universal suffrage, "a franchise which excluded all paupers and criminals but otherwise recognized the principle of an equality of political rights that all who paid taxes should have the vote." Some radicals disagreed with Hunt and argued that he should support any attempt to extend the franchise. Hunt's decision not to support the 1832 Reform Act upset some radicals in Preston and in the 1833 General Election, Henry Hunt was defeated. After the election Henry Hunt told his supporters: "I have done everything in my power to maintain, uphold, and secure your rights, but I have failed upon this occasion. I shall retire into private life with the reflection, that I have never, upon any occasion, flinched from performing my duty to you, and the whole of the working classes of the United Kingdom." Henry Hunt retired to his home in Whitchurch, Hampshire where he died of a stroke on 15th February 1835. (1) Samuel Bamford met Henry Hunt for the first time in 1815. He described the meeting in his book Passages in the Life of a Radical. In the latter end of the year 1815 and the beginning of the year 1816, the evil effects of the war began to be severely felt amongst all classes throughout the country; and, in the North of England, it was particularly felt by those employed in the manufactories. Great disturbances prevailed, and the Luddites, as they were called, committed repeated depredations, by destroying the machinery of their employers. This ultimately led to the employment of spies and informers, by the agents of the government; by which means, many of the unhappy men were convicted and executed. Major Cartwright and Mr. Cobbett, in the most laudable and praiseworthy manner, endeavoured, by their writings, and the Major, I believe, by going amongst them personally, to draw the attention of the starving manufacturers to the real cause of their distress, and recommended them to petition for reform instead of destroying the machinery. This had the desired effect, and petitions drawn up by the Major, praying for reform in the Commons House of Parliament, and demanding suffrage for those who paid taxes, poured in from all quarters. In the beginning of November some persons in London advertised and called a public meeting of the distressed inhabitants of the metropolis, to be held in Spafields, on the 15th; this originated with Dr. Watson and some of those who called themselves Spenceans. As I have learned since, they sent invitations to Sir Francis Burdett, Major Cartwright, myself, and Lord Cochrane, and even to Mr. Waithman, and several other political characters, earnestly requesting them to attend the meeting, to advise with and to assist their distressed fellow creatures, as to the best means of obtaining relief. In the mean time, the parties calling the meeting had drawn up and prepared a memorial to the Prince Regent, which was, if passed, to have been carried immediately to Carlton House, by the whole of the meeting, and presented in person to the Regent. When the day arrived, of all the persons invited as political characters to the meeting, I was the only one who attended, and, having prevailed upon those who called the meeting to abandon their famous memorial, and to relinquish the plan of going in a body to Carlton House, I proposed the resolutions and the petition to his Royal Highness the Prince; which the next day I caused to be presented to him by Lord Sidmouth: on the following day his Royal Highness was pleased so far to comply with the request of the petitioners as to send Four Thousand Pounds as a subscription to the Spitalfields Soup Committee. The resolutions proposed by me, and unanimously passed by the most numerous meeting ever held in this country, avowed the principle of UNIVERSAL SUFFRAGE; and the petition to the Regent claimed his pecuniary assistance, as an immediate and temporary relief; but declared that the petitioners had no hope or expectation of permanent prosperity and happiness, till a reform of Parliament was effected, which would give to every man a vote in the representation. This was, therefore, the first time that universal suffrage was petitioned for at a public meeting; and I had the honour, and I shall ever feel a pride in the reflection, of being the first man who publicly proposed at a meeting of the reformers this measure, and of having caused to be presented the first petition to the throne, praying the Prince to assist the people in recovering their right of universal suffrage, in the election of members of the House of Commons. You must all recollect the infamous manner in which I was attacked and assailed by the whole of the daily London Press at that time, with the single exception of the Statesman . However, the reformers of the north, south, east, and west, became instantly alive to the appeal that was made to them in the resolutions passed at Spa Fields; public meetings were held, and petitions to the House of Commons were signed, all praying for universal suffrage; and, by the time of the meeting of Parliament, the delegates from petitioning bodies came up to town, in consequence of a circular letter signed by Sir Francis Burdett, to consult, and to settle upon the extent of suffrage and other matters to be recommended, for the adoption of all the petitioning bodies of reformers throughout the country. This was most unnecessary, for they had, one and all, already adopted the principle, and followed the example, set them by the inhabitants of the metropolis at Spa Fields. When the delegates were arrived from Scotland, Yorkshire, Lancashire, and most of the counties in the north, from Bath, Bristol, and other places in the west, with the petitions entrusted to them, the signatures to which, together with those of the petitions previously sent up, did not amount to less than half a million; I came to town as the delegate from Bath and Bristol, both of which cities had held public meetings, most numerously attended, and passed similar resolutions to those agreed to at Spa Fields. The Reformers from each of those cities had sent me up a petition, to be presented to the House of Commons, praying for universal suffrage, one signed by 24,000 and the other by 25,000 persons. To be brief here, (for I shall detail the circumstances more fully hereafter, as they make a most important epoch of my life); the delegates met, 63 in number, at the Crown and Anchor, Major Cartwright in the chair, who, together with Mr. Jones Burdett, attended as a deputation from the Hampden Club. The Major, in opening the business of the day, stated that the members of the Hampden Club, with Sir Francis Burdett at their head, had come to a resolution to support suffrage to the extent of householders, and no further, and that they recommended the adoption of this plan to the delegates. The Major was particularly eloquent, and went out of the usual course of a chairman, by requesting, almost as a personal favour to himself, that the delegates would adopt the recommendation of the Hampden Club. Mr. Cobbett then rose, and, in a speech replete with every argument which this most clear and powerful reasoner could suggest, proposed the first resolution, that the meeting should adopt the recommendation of the Hampden Club, and agree to recommend the reformers to petition to the extent of householder suffrage only; urging, as Major Cartwright had done before, the necessity of agreeing to this plan, because Sir F. Burdett had positively refused to support any petitions for universal suffrage. This resolution was seconded by Mr. Jno. Allen, my brother delegate, from Bath, although he had positive instructions not to agree to any thing short of universal suffrage; but Mr. Cobbett's powerful though fallacious reasoning, had convinced him, of the necessity of curtailing the right to householders only. I rose and moved an amendment, substituting universal for householder suffrage, and, with all the reasoning and energy in my power, I combated the arguments of my friends Cobbett and Major Cartwright, deprecating the narrow-minded policy that would deprive 3-4ths of the population of the inherent birthright of every freeman. My proposition, and the whole of the arguments I used in its support, were received by a very large majority of the delegates with enthusiastic approbation; so much so, that it convinced Mr. Cobbett of the folly as well as the inutility of persisting in his motion. My amendment having been seconded by Mr. Hulme, from Bolton in Lancashire, and being supported by a very ingenious argument of my brave friend and fellow prisoner (now in Lincoln Castle) Mr. Bamford, Mr. Cobbett rose and begged to withdraw his motion, he having been convinced of the practicability of universal suffrage by the speech of Mr. Bamford, who had at the time only said a few words upon that subject. The question was put, and principle carried it against policy, there being for my amendment I think 60, and only 3 for the householder plan. Thus then, my friends, whether I was right or whether I was wrong, I not only was the first to propose the adoption of the wild and visionary scheme of universal suffrage at a great public meeting, but I also stood firm to the cause, when those who have since so ably advocated the principle, were (in evil hour) from policy about to abandon it. Let, therefore, all the blame of the reformers having so determinedly advocated the wild and visionary scheme of universal suffrage rest upon my shoulders, which, thank God, are quite broad enough to bear it without feeling it in any degree burdensome, particularly as Sir F. Burdett has at length come fully up to our mark. From that time to this I have never deviated from, never shifted to the right or to the left, but always, at all times, through good report, and through evil report, undisguisedly enforced and maintained, with all the ability I possessed, the right of the whole of my fellow-countrymen to be fairly and freely represented, in the Commons House of Parliament. If there be any merit in what was then called a stubborn and pertinacious adherence to this great principle, I am only entitled to share that merit jointly with Mr. Hulme, Mr. Bamford, and the other brave and patriotic men who came from different parts of the country, as delegates. Without their manly support, this measure would have been lost, and the reformers throughout the kingdom would then have been recommended to abandon the high ground they had taken; to give up petitions, already signed by half a million of men for universal suffrage; and in its stead to petition for suffrage to the extent of householders, or to the payers of direct taxes only. Having established this position, for the correctness of which I appeal to all the delegates who were present, I shall leave it for the present, although there are very important matters, and some very curious circumstances connected with the events of that period, which have never yet appeared before the public, which must come out, and which will form a very material part of my history. The government, or rather the ministers, had their eye upon this meeting of delegates, and they well knew all that passed there; and I should not be surprised if six months of my imprisonment may be fairly placed to the account of what the editor of the Macclesfield Courier called, "my most uncompromising perseverance." I am an enemy to corn laws, game laws, and to all laws that mark a degrading contrast between the lazy and the industrious. There must be high and low, rich and poor; but the honest working man ought to have all the conveniences of life, and some of its comforts. (4) On 14th August 1830, The Manchester Times reported a speech made by Henry Hunt at St. Peter's Fields, Manchester. The last time I had the honour to meet you in this field of blood was eleven years ago this day. We met for the purpose of offering up our prayers and petitions to parliament for a repeal of the corn laws, and a reform in the House of Parliament. We were peaceably and legally assembled to perform a constitutional duty when we were attacked by bands of drunken yeomanry, who rushed among the unarmed multitude, of whom 14 were killed and 618 badly wounded. This was the way in which our prayers were answered. You have again honoured me by inviting me to Manchester, not for the purpose of merely paying a compliment to me, but to show to the tyrants of 1819 that the people, the reformers of Manchester, are not to be put down in 1830. When we assembled here in 1819, the magistrates were assembled in that house (pointing to the house formerly occupied by Mr. Buxton), and when the drunken yeomanry came galloping down by that corner, they were ordered by Hulton to charge the people. I was conducted by two men, Andrews and Nadin, across this field. All of a sudden I found that Andrews let me go, and fled, and on turning round to ascertain the cause? I saw two drunken Yeoman coming up. They made a sign to my conductors to retire and leave me to be cut to pieces. But I stuck to Nadin as my shield and buckler. They reached over his head and cut my hat; and my hand was also slightly cut. They then wheeled round and came again; but I wheeled round also, and still presented Nadin in front. When I got to the door I found my hat thrust off; I put my head on one side, and instantly there came upon my shoulder a blow from a bludgeon, which would have murdered me if it had come upon my bare head. Who was it that made this attack, do you think? A commanding major-general of the name of Clay. 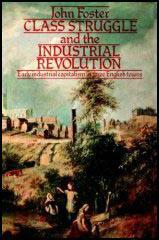 (5) Henry Hunt issued a statement that was read out to a large crowd that assembled in Manchester on 14th August, 1831. Let me ask you my beloved friends and brethren, this plain and simple question. Shall the expiring groans of those martyrs who have suffered military execution and death in the holy struggle for equal political rights - shall the cries of those who have been immured in the tyrants' dungeons, for standing up for the rights of every Englishman to exercise the elective franchise - be drowned in the senseless cry for partial suffrage? Shall the legal and just demands of seven millions of the industrious and useful men be abandoned, and their political rights offered up to the shrine of half-a-million of ten-pound householders? Shall seven millions of the working-classes declare that they are content to be virtually represented by half a million of their fellow-men because they live in ten-pound houses? These dirty knaves abuse me now, for the very reason that they abused me in 1816, 1817, 1818 and 1819. They abused and vilified me then, because I was true to the people, they abuse, lie and misrepresent me now for the very same reason because I would not desert, abandon, and betray the rights of the working classes in order to curry favour with the Whigs. (7) (6) The Leeds Patriot newspaper reported a speech that Henry Hunt had made in the town on 19th November, 1831. I come here today to visit the working classes, and no other, I profess only to represent the working classes of England in the House of Commons. I am determined that the working classes shall have the reform they want. I am for all voting. I am not for disfranchising any man, but if any, it should be the rich man. I say to the rich man - you have got money, you have got influence, you have friends to protect you; but the poor man has nothing on earth to protect him but his political rights. (8) In the 1831 General Election, Henry Hunt attacked his Tory opponent, Peter Fleetwood. Mr. Fleetwood says he wants to educate the poor. He would have the children of the working classes read all the pretty books which he chose to put into their hands, but he would give every man the just benefit of his labour, he would do better than this, for then the working man could do all this for himself. Of what use was it to give education to the children of the poor, while the poor are held as they are now, compelled from the condition of their parents to work more hours than the sun shines. They have no time to read or to study, even if they were taught to read. If justice was done the working man might earn a sufficient subsistence by four day's labour in the week, and he might then devote the other three days to reading and reflection. (9) Henry Hunt made a speech in the House of Commons on 15th March, 1832, on the subject of the Peterloo Massacre. After I was arrested the Yeomanry continued their execution upon the unresisting people; hundreds of whom were wounded, thrown down, trampled upon, or otherwise injured. The groans of the wounded, the horrid shrieks of the women, and the despair of the maddened wretches formed the most dreadful scene that could be imagined. It was true, that it might be said, that some of these did not suffer from the sabres of the Yeomanry, but a very large proportion were wounded in that manner; and at all events it was quite certain that no accidents whatever would have occurred but for the outrageous attack that had been made upon a peaceable multitude. The question is, whether the children of the manufacturing poor should work for more hours than human nature can sustain. If the honourable members were to see hundreds of the poor, unfortunate wretches employed in the cotton-mills in Lancashire, they would feel the absolute necessity of adopting an active interference. I say, let the manufacturer keep double the number of workmen, but do not let him destroy the health of the rising generation. At present, the children earn only two shillings and sixpence, or three shillings a week. I know that many of the manufacturers of the north of England are opposed to the bill, but as ten thousand persons, in the town (Preston) which I represent are engaged in the cotton manufactories, I feel called upon to state my opinion on the subject. The whole of my constituents are in favour of this bill, even if it should lead to a reduction in the wages of the children employed in the mills. My constituents have instructed me to support this bill; but even if they had desired me to oppose it, I should have refused, as I would rather have resigned my seat in this house than have done so. (11) In November, 1838, Fergus O'Connor, the editor of the Northern Star, wrote about Henry Hunt's contribution to parliamentary reform. Henry Hunt told them that the 1832 Reform Bill was a farce; he saw it to be a delusion; his enemies were too powerful for him, and they broke his heart. Henry Hunt was the great architect who taught the people what was needed.